It’s amazing how something can be invisible in plain sight. Take autumn olive, for example. 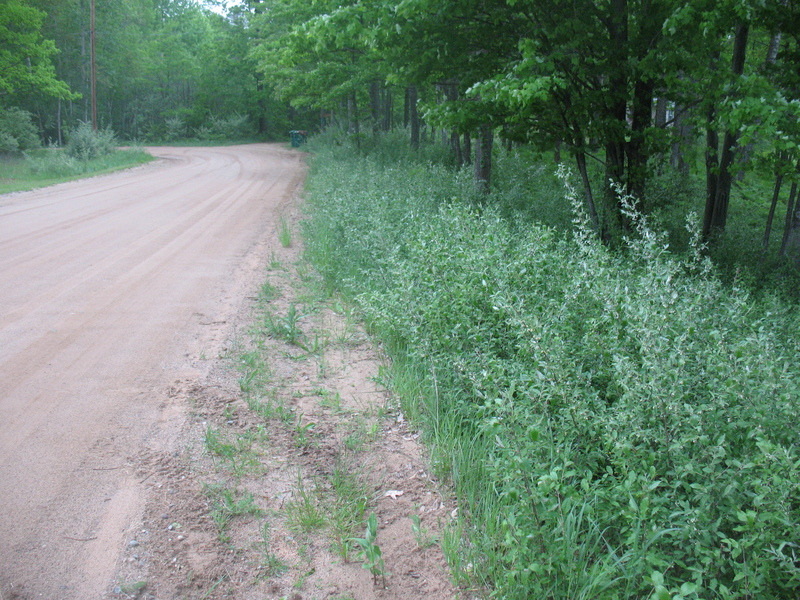 In Clare County, in the middle of Michigan’s lower peninsula this invasive shrub is rapidly multiplying taking over fallow fields, roadsides and ecologically important natural areas. The above photo shows a stand of autumn olive growing along Springwood Drive, east of Harrison. Currently, the shrubs are about 6-feet tall and one can still see the lake on the other side of them. But sadly, not for long. Autumn olive can grow as tall as 20 feet. Its cream to pale yellow flowers bloom in early spring. The plant leaves are elliptical-shaped with a slightly wavy margin. The stalks have thorns, which make it difficult hard to walk or hunt through a stand of them. In the fall, the shrub has an abundance of pink to red berries that birds and other wildlife (including deer) find tasty.There are even recipes on the web for using the berries to make jams and pies. I never really noticed the autumn olive in the county until a friend pointed it out on my property. Then I began to notice it everywhere, down nearly every road i drove, especially on windy days when its silvery underside makes the plant to stand out from the surrounding vegetation. So, why should we care if this shrub is invading Clare County? Autumn olive is an invasive specie that out-competes and displaces native plants by creating a dense shade that hinders the growth of plants that need lots of sun. It can produce up to 200,000 seeds each year, and can spread over a variety of habitats as its nitrogen-fixing root nodules allows the plant to grow in even the most unfavorable soils. Not to mention that it reproduces quickly and with little effort at all. Birds are quite attracted to the seeds and will scatter them throughout pastures, along roadsides and near fences. Hand pulling autumn olive seedlings is an effective way to rid yourself of the plant. In fact, control efforts before fruiting will prevent the spread of seeds. 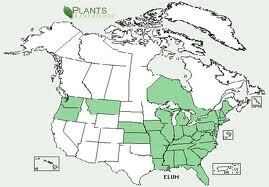 If the plant is too big to pull, herbicides will be necessary to eradicate the plant from the general area of invasion. Cut the plant and apply herbicide to the trunk repeatedly, from summer through winter otherwise the shrub will regrow with renewed vigor. People in Clare County don’t know much about this alien invader yet, but they will. The shrub, like the truth, is out there. But unlike the truth, it’s becoming more common–and it’s growing.